Let us transform your outside space! Overtime, in our damp and wet conditions any external hard surface, can become slippery and dangerous and can start to look dirty and in the need of some attention. 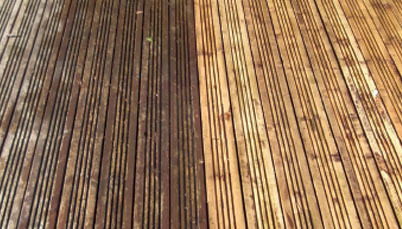 Our drives, patio, decking and paths being clean is essential to getting the whole garden and outside space looking its best. Being experts in this field, any cleaning project we undertake will be carried out to a high standard, as we have the correct equipment and knowledge to do the job properly. We use a range of hi-tech pressure cleaning equipment to provide a thorough and precision clean on every visible hard surface. 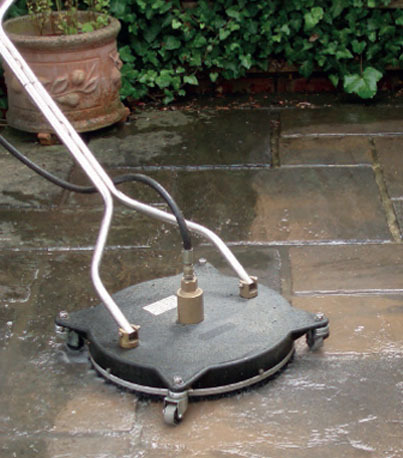 We have invested in the latest pressure washing equipment, designed to deep clean hard surfaces including block paving, imprinted concrete, crazy paving, natural stone, tarmac, decking and paving slabs. The power behind this machinery together with experience and quality cleaners, enables us to restore your surfaces to look like new again and restore them back to their former glory. We are passionate about serving your vision. It is our pleasure to use our experience to give you the best advice possible to help you transform your outside space. Time and again our clients speak of the 'transformation' that takes place on completion. As with any external surface exposed to the elements, over time weeds, moss, algae and lichen can flourish, causing them to look dirty and in the need of some attention. As opposed to other cleaning services, our cleaning techniques do not require any chemicals and are totally harmless to the environment and your plants. Once clean and dry, your surfaces will look like new and become safe once again. We would then advise applying a sealer. This will create a weather resistant barrier, safeguarding the surfaces from stains, growth and general wear and tear. 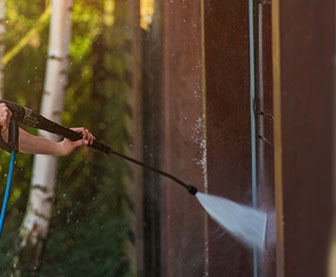 The long-term appearance and durability of any hard surface can be improved by applying a protective sealer and will reduce the need for regular cleaning and maintenance. It will enhance the natural colours and provide future protection against UV rays which can cause colour loss. We use quality products to enhance your surfaces to their full potential and we are confident that you will be pleased with the results that we can achieve. "Just wanted to say a huge thank you for the amazing job you did on our driveway, paths and patio. They look brilliant and we will definitely be recommending you to friends!"